Last Thursday, Jon and I celebrated our 4th Thursgiving. Thursgiving is a tradition we started the first Thanksgiving season we met and we are hoping to continue to celebrate it for many years to come. The Thursday before Thanksgiving we make our own mini Thanksgiving meal and reflect on the previous years blessings. We spend every holiday with my family and things can get crazy with that so we wanted to carve out time to talk about what we are thankful for and why, and what we are looking forward to the next year. We laugh because people go psycho and fuss over cooking a Thanksgiving meal but honestly, we do ours in less than an hour every year. Rotisserie turkey, boxed stuffing, instant rolls, etc. People it's not that hard! This allows us to focus on the meaning behind the celebration rather than stressing over what time to put the pumpkin pie in the oven. I posted about last year's Thursgiving here. I think I started tearing up when I saw it. Y'all...Jon hates going to the store...hates it with a passion...and this meant SO much to me that he took the time to think of all the sides, go to the store after being on the road al day, and he even cooked the whole thing! What a stud. The menu included turkey, gravy, cauliflower whippers, stuffing, green bean casserole, and crescent rolls. During dinner I was telling Jon I wished I had the ingredients for pumpkin pie and he slipped into the pantry to grab these mini pies! I am absolutely obsessed with homemade pumpkin pie and these were better than anything I've ever made (or tasted). I think the cream cheese frosting is what did it for me. November 1st we started our "Thankful Jar". Each day we wrote on frenchie shaped notecards (so Ernie could be somewhat included) something we are thankful for. 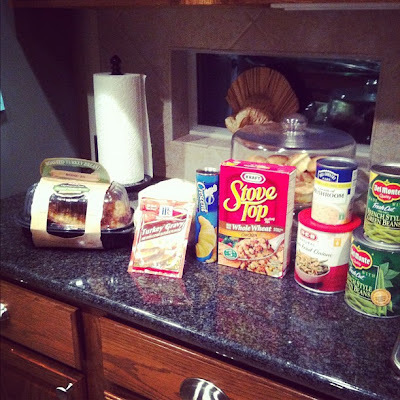 We decided to go through them on Thursgiving, knowing that things would be crazy at our real Thanksgiving of 14 people. It was an awesome way to relax and catch up with my husband in between house guests and holidays...I am so glad (and lucky) he went all out! We talked about one day doing this with our children, our own little Hart family Thanksgiving. Do you have any traditions beyond the normal Thanksgiving ones? Oh how sweet! What a wonderful idea! This is a beautiful tradition! Thanks so much for sharing it with all of us. What a great tradition! Sounds like it was a year to be thankful for. What a sweetheart :) Love the little puppy dog notes, too! This made me smile so much!! What a great tradition and that's so sweet to cook everything!!! I've been really thinking how simple thanksgiving should be. We are just making a turkey breast in crock pot and keeping it simple. This is such a cute tradition! I love it, thanks for sharing :) And those little Ernie notes?! LOVE! aw I love this tradition y'all do. The food looks amazing. I'm so ready for tomorrow. My dad makes the best fried turkey! Love that you guys do this! We did a similar thing last Friday and I can't wait to redo it next year! It was such a special time for us and such fun memories! Love that Ernie paper...I need to find a basset version! That is the sweetest! I love it. My husband and I always do our own mini-holiday-get-together before the fam bam shows up. It is really important for husband and wife to spend some alone time during holidays. Love it! Ruthie, you guys are just too cute!!! I love ready your blog! 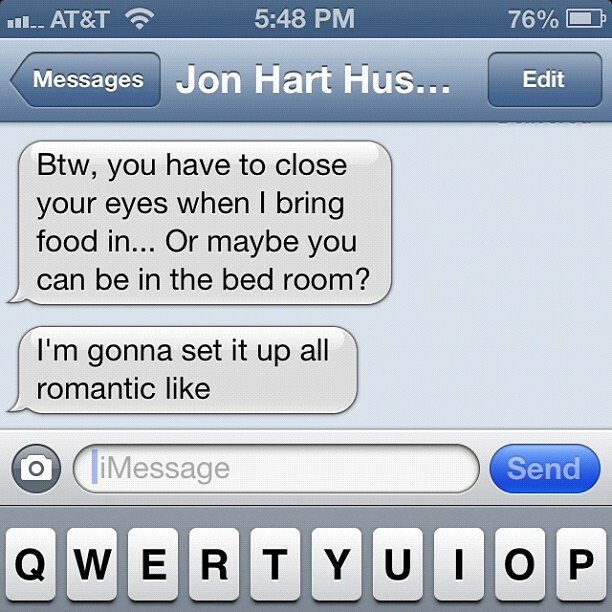 And Jon sounds like a keeper! I love this, girl! Jon, you are amazing! I can relate with him...I absolute HATE the grocery store with every ounce of my being...so this would be HUGE! 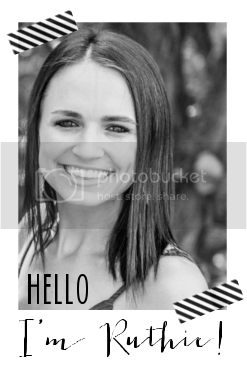 The notecard idea is really sweet. I hope you had fun reading them to one another, how special :-) Love you guys! You two are absolutely adorable! I'm loving your traditions and the thankful jar is a fantastic idea. I might just be snagging that one from ya! Way to go to your hubby for preparing what looks like a VERY delicious meal!!!! !